PRC wins IER Independent Business Award | What Hi-Fi? Essex retailer PRC has been recognised as the 'best large independent consumer electronics retailer' in the 2011 IER Independent Business Awards. 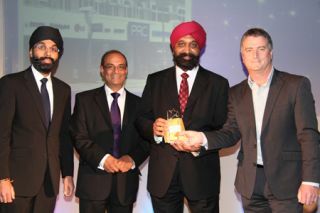 Sponsored by Sony, the award was given to PRC for being the best independent retailer with a turnover of more than £1.5m. The consumer electronics retailer received the accolade from Sony UK's sales director Chris Bowen at a celebration in Birmingham.